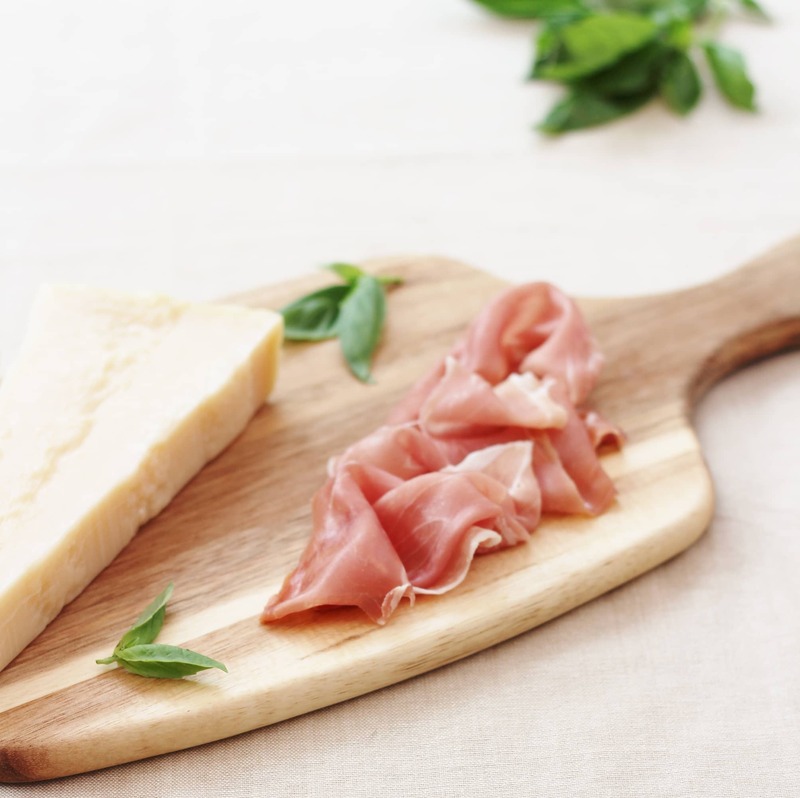 Prosciutto di San Daniele and Grana Padano Cheese are produced in the north of Italy and are both carefully made using quality ingredients and according to traditional methods which have been handed down through the centuries. They are both recognised as Protected Designation of Origin (PDO) products. This designation is reserved for products that come from a strictly defined geographical area and are produced using distinctive processing techniques steeped in the history and tradition of that place. A PDO logo guarantees high quality and authenticity. As someone who is passionate about flavour and quality, I thoroughly enjoyed trying the Grana Padano and Prosciutto di San Daniele samples I was sent. The Prosciutto was just the right combination of sweet and salty with an amazing melt-in-the mouth texture. The cheese was incredibly flavoursome – similar in flavour and texture to Parmesan, but I would say it has a slightly more rounded, richer flavour than Parmesan and is a little less earthy. 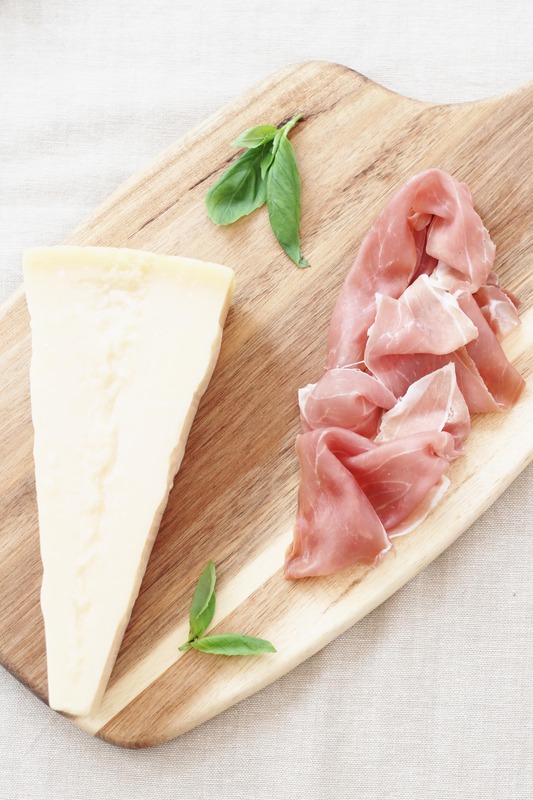 Both the Grana Padano and the Prosciutto di San Daniele would be perfect as part of a platter of antipasti, but they are also great ingredients to cook with. 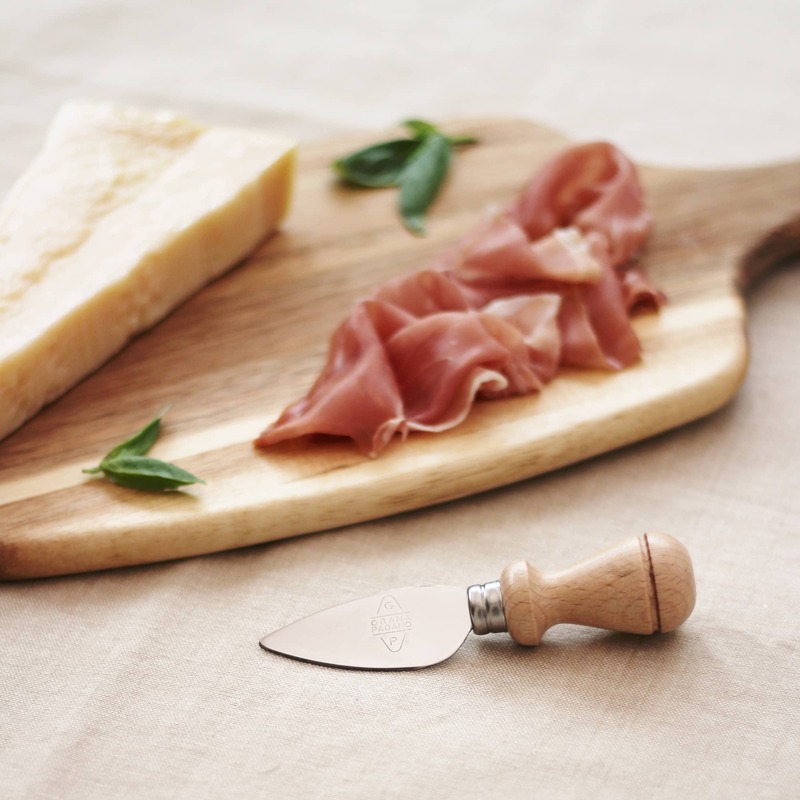 I have a tray of Prosciutto di San Daniele and a block of Grana Padano, plus a lovely embossed Grana Padano cheese knife to give away to one of my wonderful readers – you can find details about how to enter the giveaway at the bottom of this post. I really wanted to make these two wonderful ingredients the stars of my recipe, so decided that instead of using a normal tomato based sauce on the pizza, I would create a delicious homemade pesto, made using Grana Padano. On top of this, I simply added the Prosciutto di San Daniele and shavings of Grana Padano, plus some rocket and extra toasted pine nuts. The recipe may be simple but the flavours are out of this world! I so often find that it is the simple recipes that really allow the flavour of good quality ingredients to shine, and that is certainly the case here. This recipe is actually incredibly simple, but if you want to make it even simpler, you could use a packet bread mix to make your bases and use a ready-made pesto, instead of making your own – though I do think the flavour of homemade pesto is far better than shop bought, and it really does only take 5 minutes to make your own! Plus you can easily make extra to have with pasta, making a super speedy weeknight supper later in the week. 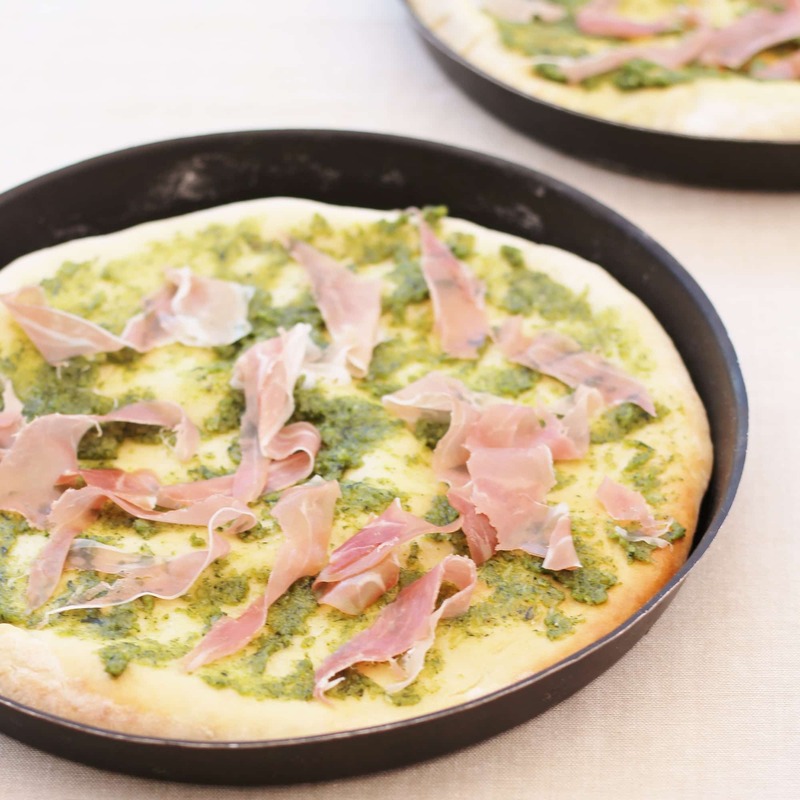 An easy peasy pizza base, topped with delicious homemade pesto made with Grana Padano, and finished with Prosciutto di San Daniele, rocket and more Grana Padano. Combine the flour, yeast and salt in a large mixing bowl. Add the water, plus 2 tablespoons of olive oil, and stir together. Tip the dough out onto a floured surface and knead for 10 minutes. 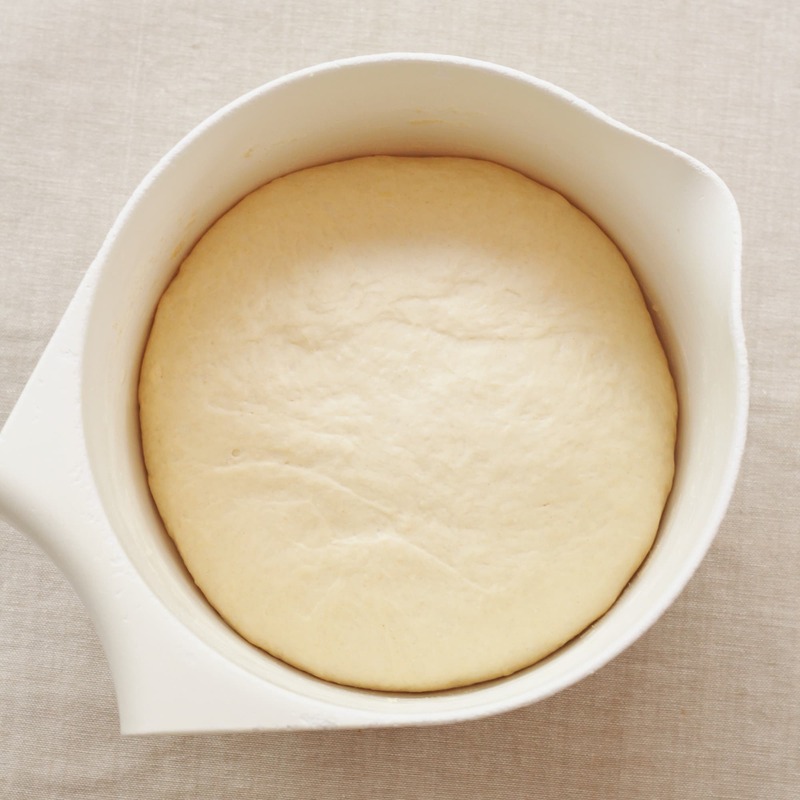 Return the dough to the bowl, cover with clingfilm and leave in a warm place for 45 minutes. Pre heat your oven to 220C and grease 4 pizza trays lightly using olive oil. After 45 minutes, knead the dough lightly to knock out the air, then divide into 4 and roll out to fit into your pizza trays. 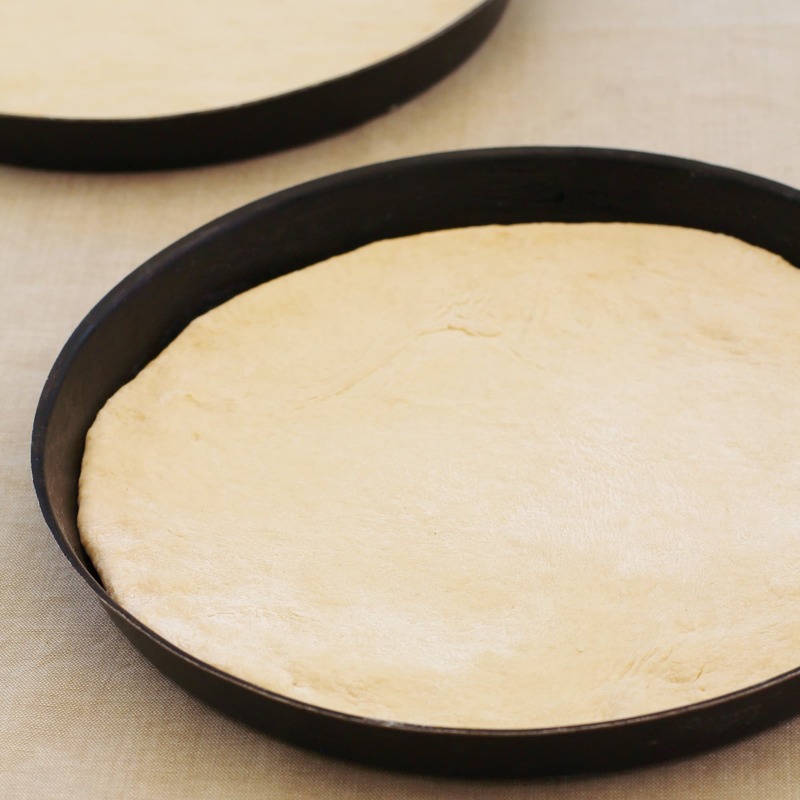 Cook the pizza bases for 10 minutes before adding your toppings – they should be light golden brown. Lightly toast all your pine nuts in a large non-stick frying pan until golden brown – take care not to burn them. Place 100g of the pine nuts in a food processor and add all the basil, 2 garlic cloves and 100ml olive oil. Blitz to a smooth paste. Alternatively place all the ingredients in a jug or bowl and blitz with a hand blender until smooth. When the pizza bases have cooked for 10 minutes, remove from the oven and spread over the homemade pesto. Add the Prosciutto di San Daniele, and return to the oven for 3 minutes – do not allow the pesto or prosciutto to burn!! Remove the pizzas from the oven and top with rocket, Grana Padano and the remaining 50g of toasted pine nuts. In addition to preparation and cooking times you will also need to allow 45 minutes for proving the pizza dough. Fancy winning some of this fantastic ham and cheese for yourself? I have a tray of Prosciutto di San Daniele and a block of Grana Padano, plus a lovely embossed Grana Padano cheese knife to give away to one of my wonderful readers. Rafflecopter is a little widget that allows me to run a kind of raffle on my website, except instead of entering by buying a raffle ticket, you enter by doing things such as commenting, following me on Twitter and visiting my Facebook page. For one entry, all you have to do is answer this simple question: What would you do with the Grana Padano and Prosciutto di San Daniele if you won this prize? Then for a further entry, simply visit my Facebook page. Once you’ve done this, the Rafflecopter will unlock all the other ways you can enter, but don’t worry – you don’t have to do them all (though I’ll love you forever if you do 🙂 and remember, the more entries you make, the more chance you have of winning!) When the competition closes, the little widget will work its magic and select a winning name at random. I will then contact the winner via email to arrange for the box of goodies to be sent to you. I am linking this up to Brilliant Blog Posts, Recipe of the Week, Cook Blog Share and Cook Once Eat Twice. How I love pesto on a homemade pizza Eb, it’s so delicious. I love to even make our pizza dough in the morning and then pop it in the fridge to prove slowly to allow us to get on with our day and then take it out of the fridge at tea time for a few minutes before shaping and baking it. Scrummy. Sorry, forgive me for not entering the giveaway being vegetarian it’s not the topping we would use. Oooh, yes – FAB idea to wrap chicken in the ham! You could slip a little bit of the cheese in there too, to go all melty and gorgeous 🙂 Feeling hungry now!! Wrap chicken breasts in the ham with BBQ sauce too and top with Padano before baking. What a lovely way to use the products! I love how the grana padano is used in the pesto and that there’s no tomato so you can really taste the proscuitto and the cheese. It sounds lovely and thank you so much for sharing with #CookOnceEatTwice – I always hope to have leftovers if I ever make pizza too! I forgot to say how I’d use the products – I’d be tempted to just eat them with some bread for an easy lunch but a pasta would be lovely too! I would use on pizzas or use it to make a ham tagliatelle !! I’d eat them just as they are with some home baked focaccia bread and a bowl of olive oil drizzled with balsamic vinegar. A little pile of olives and a few wedges of ripe tomato on the side of the plate and I’d be very content. I would share the giveaway with my mom. I’m not a very good cook so I’d follow your recipe for pesto pizza! I would use it on a pizza for a lovely yummy treat! I’d use them with some tagliatelle; yummy! Oh as is Autumn a nice Squash Rissotto with grated Grana Padano stirred into it with a cheeky bit of crispy proscuitto on the top. Next i’d make some Padano fritters and serve with crispy proscuitto and green rocket and tomatoes. Oh and my fav quick proscuitto snack is with chunks of cantalope melon and rocket. I would just love to try the Grana Padano and Prosciutto di San Daniele. I’d share it with my husband, maybe make a pizza. I’d wrap it around melon and mozzarella. I would treat my good friends Volodimir and Inna to a World class starter on Christmas day. I think I would hide in the guest bedrroom and eat it all with a nice glass of prosecco, picnic style. Oh wow! This looks like such a delicious pizza! I really could do with a slice right now..! I’d put slivers of the cheese on top of chicken breasts lashings of ground pepper and wrap the ham around it all. Bake in foil and serve with roasted baby vine tomatoes . Give this recipe a go! I would give it to my husband to make something delicious as he does most of our meals. When I took my children to Sardinia last month we were arriving late at the hotel so they actually put some cheese similar (or the same) to this, with some Prosciutto, some soft cheese, crusty bread and roasted vegetables for us to nibble on upon arrival. It was all very welcome, and tasty! Great idea for the pizza, but I would do a simple pasta bake with it. I would have to make that pizza it looks lush. I would try the pizza idea! I would have to make myself a very Posh Toastie! I would eat the prosciutto wrapped around a grissini stick and use the Grana Padano all over my favourite pasta dishes. I would make prosciutto and potatoe layer bake with ham and cheese layered with extra cheese on top. You can’t beat a yummy pizza – it’d defo make my own completely from scratch! I used to be a pizza chef so I would love to make a pizza with it. Looks delicious! Thanks Kristina 🙂 Wow – a pizza chef – what an awesome job!! I imagine I might just get some good bread, some Spanish olive oil and olives, and a bottle of Rioja, and give hubby and in impromptu sort of pintxos evening, and regale him with my happy memories of San Sebastian! I’d go and visit my daughter and grandchildren and take it with me and we’d have home made pizzas. I would probably just have the prosciutto on some toasted ciabatta with pesto or olive oil, with some of the gran padano grated on top. It would have to be the pizza! The step kids would l9ve it..and so would I ! Glad you like it. I bet it would look fab! ? Oooo yummy prize… I’d grill some chicken breasts.. slice open…place cheese & ham inside .. pop into oven to melt.. mmmm & serve with fresh salad & garlic bread.. Most definitely be used on a pizza…delicious. i would probably use it with chicken and make a yummy sauce up with the cheese. I would bake gluten free pizza for hubby. Hi, I would try to make your pizza recipe as it looks yummy! It would be perfect for a social lunch for the girls!! would love to try making my own pasta…having the Prosciutto and Grana Padano would make me try harder to succeed! I would have lunch with my other half, crackers or crusty bread, Prosciutto di San Daniele and Grana Padano, some nice chutney and a glass of bubbles. No need to complicate! YUM! My idea of gorgeousness-love Italian food..and a real pesto fiend! Great with diced potatoes,onions and lots of mushrooms. I’d shove them in my face as fast as I can. Delicious. I would use it to top a Macaroni Cheese bake. Have my good lady and parents around for some great food! Would love to try this for a family meal, sounds great. I would use them to make a delicious frittata! I’m not keen on the bread on a pizza so i’d do something like marinated chicken wrapped in pannacotta or ham and make a creamy cheesy sauce to bake it in! I would use these first class ingredients into a sauce to turn my ordinary cooking into extraordinary dishes. A simple pasta for supper for example would be wonderfully enhanced. I would eat it!!! Actually that pizza recipe looks lovely so may give that a try. I would definitely also have it in a plate of anti pasti as I’m obsessed with that for lunch at the moment. With sunblushed tomatoes and some warm ciabatta. Bliss. Would be ideal for a delicious carbonara or on their own with some delicious home cooked breads. After seeing those pictures I’d have to make a pizza, looks delicious and it would go down a treat with my boys. We have Pizza night every Friday which Dad does with the children. lots of fun. I am a big Cheese fan so would have the Ham with cheese. I have made lasagne with mince and Prosciutto, for special occasions. it has 4 meats and 4 cheese so not for the faint hearted. I would save this and use for NY Eve with my friends. I would try making the pizza and a Pasta Carbonara and have some cheese and port for desert too! I would try out your pizza idea but I have to admit I would probably cheat and use ready made pizza bases! I think I’d try it with fresh figs and honey. I’d copy your idea of a pizza! It looks lush. I would pass this over to my dad who would make something wonderful! I would make a luxury bruschetta. This sounds lovely! I also like to add chorizo,pepper and rocket to mine! This recipe has all my favourite things on it – I even love rocket. I’m definitely trying it. Thanks Caroline 🙂 Glad you like it! A proper thin margarita ! I would use it to make a wonderful creamy risotto, with the prosciutto all crispy on the top! That Pizza look so nice! I’d have a bash at the the prosciutto wrapped asparagus ….. well I will when the asparagus is in season. In the meanwhile think I would host a little Italian night for my pals. Would give the pesto pizza a go. I would rustle up a pizza delight and serve it up for tea tonight! I would use on Pizza, but I have to confess I am not the cook in the Family, I tend to leave that to the other half. I make A gorgeous chicken dish using prosiciutto. Chicken stuffed with soft cheese and herbs wrapped in prosciutto and a red wine sauce. It is delicious. Would love to try on a pizza or in pitta bread! I’d make a creamy mushroom sauce with lots of sliced chestnut mushrooms, then stir in torn prosciutto at the last minute, and serve it with tagliatelli, all topped with lovely grated Gran Padano…. What a scrumptious prize! With the Grana Padano I would make a yummy risotto with mushrooms, asparagus, broccoli and sugar snap peas. 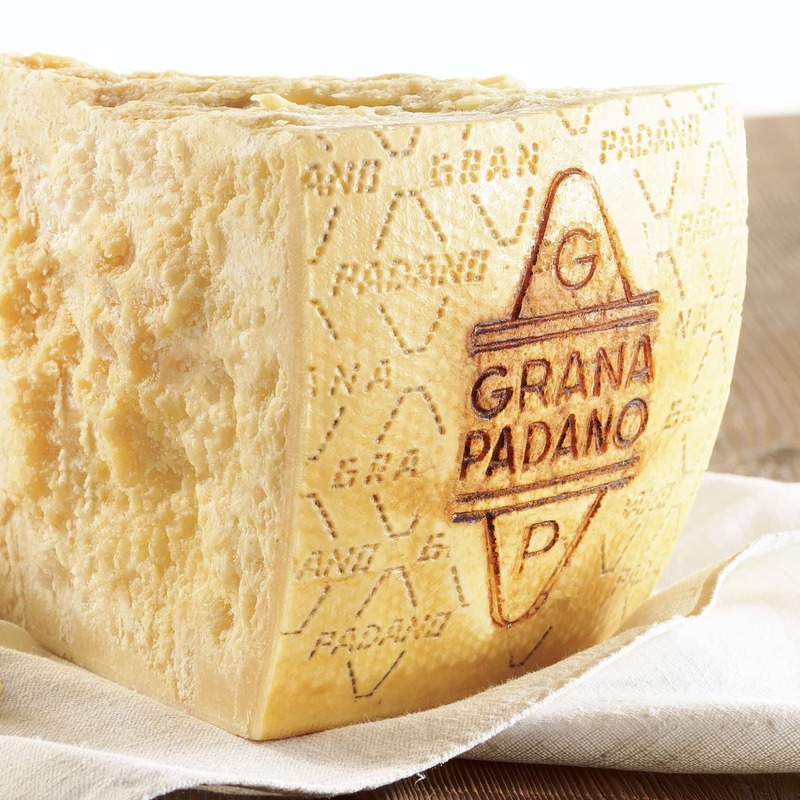 The Grana Padano would add an amazing flavour to it. With the Prosciutto I would make a pasta bake including the Prosciutto, Spinach, Walnuts and Gorgonzola…..bliss! I would stuff the chicken with the cheese and then wrap it in the ham – yum! Your pizza looks like an absolute treat! Pesto adds so much flavor. If I had the If I had the Grana Padano and Prosciutto di San Daniele I would make a warming butternut and ginger winter soup with grated Grana Padano and a San Daniele ham crisp. 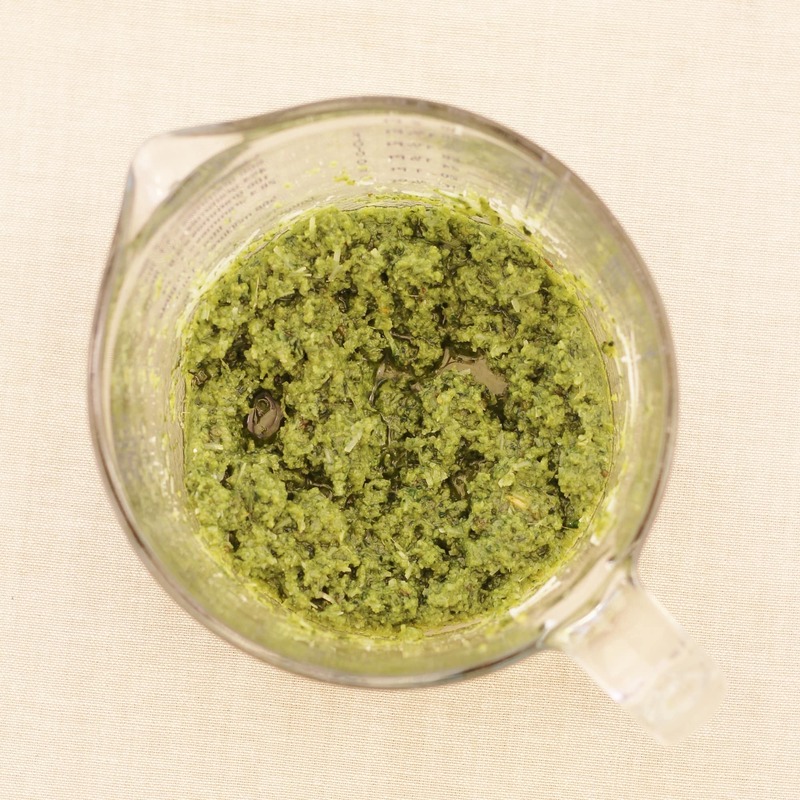 I would make up a large batch of pesto using the Gran Padano – it keeps for ages in the fridge. I’d give the prosciutto to my husband – I’m vegetarian and he’s not! Scoff it with crackers and a glass of wine! I would have friends around for a pizza making evening! I would have a gathering with friends & family to enjoy the lovley food with some pizza! I’d make the family a huge pizza for a Friday night watching a film. I’d add chilli too. Morning all! 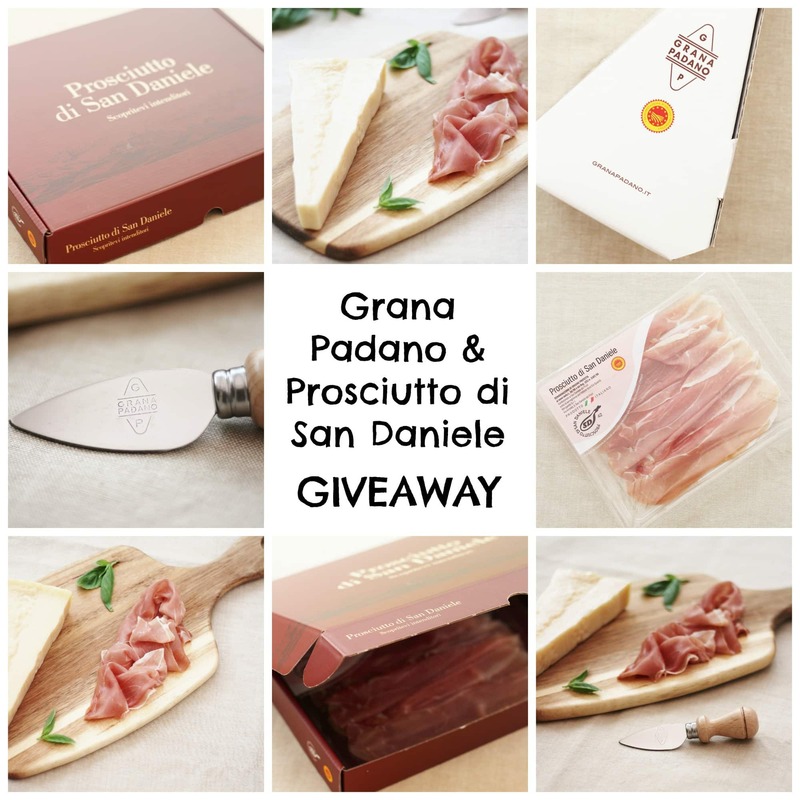 Just to let you know the Grana Padano and Prosciutto di San Daniele Giveaway is now closed. Many thanks for all your wonderful entries and lovely comments. I did try to give personal replies to all the comments, but I was so deluged by lovely entries yesterday that I couldn’t keep up!! I hope you will forgive me 🙂 I did however read them all, and I love how many fantastic ideas you all came up with…I got very hungry reading all of your recipe suggestions!! I have just contacted the winner – via email, so do check your inboxes to see if it’s you! And as soon as the winner replies and lets me know their postal address I will ‘announce’ the winner on the Rafflecopter widget.